Situated in the heart of The Queen City, adjacent to the Contemporary Art Center and across the street from the Aronoff Center for the Arts, 21c Museum Hotel Cincinnati- MGallery is a multi-venue contemporary art museum, an award-winning 156-room boutique hotel and home of Metropole restaurant. Stay with us and the iconic Yellow Penguin. 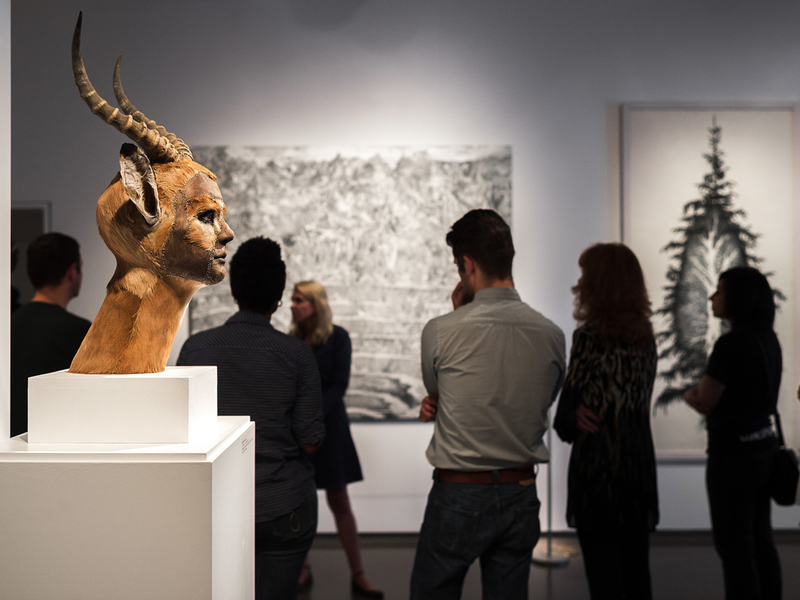 At 21c, discover contemporary art in the most unexpected places. The Spa at 21c is the Queen City's prime pampering destination. Our restaurant, Metropole, offers a contemporary take on old world cooking techniques. The 156 spacious guest rooms are filled with custom furnishings that lend a decidedly residential feel, providing a comfortable respite from the thought-provoking art and nonstop energy that fills the museum galleries. Outfitted with comfortable beds, plush robes, and Malin + Goetz bath amenities, the guest rooms include all the 21c luxuries you would expect. Led by executive chef David Kelsey, the menu focuses on dishes cooked in a custom-built hearth. A showcase for the region's sustainable farmers and producers. The bar and lounge at Metropole is the perfect place to quench your thirst or grab a casual bite with friends. Choose from a rotating selection of craft beers on tap or explore the bottled beer list to discover a new favorite brew.